Cassini is checking off its dance card and switching partners, moving to an equatorial orbit around Saturn after two years of studying the poles. This path will give the NASA spacecraft nine close encounters with moons Titan, Dione, and Enceladus this year. 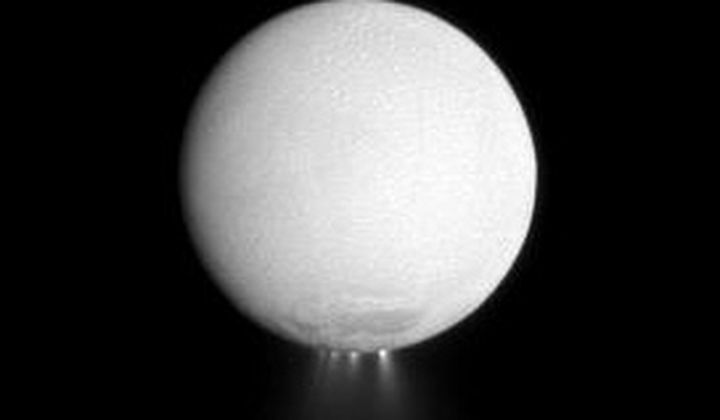 In April, astronomers solved one of the Saturn system’s mysteries, confirming that long icy tendrils stretching tens of thousands of miles in an outer ring originate from the geysers spewing from Enceladus (right). The wispy structures appear and disappear, astronomers believe, because the giant planet’s gravity creates stresses on the moon that change the size of the geyser openings.